Job Search and Match | Olyvr Olyvr - Jobs Meant for You! Upload your resume - You'll be astonished by what you see. See what your resume can do for you! Please enter the email you signed up with and we'll email you a link to reset your password. There's no Olyvr account associated with this address. Please confirm you'd like to reactivate your account. Olyvr's mission is to provide job seekers with the swiftest, most convenient way to find great job matches online. Olyvr empowers today's job seekers like never before. Enjoy instant matches, not endless searches, all within moments of uploading your resume. No forms to fill out. No keywords to enter. No fees to pay. Never again waste time with job results that ignore your qualifications or aspirations. Our patented technology delivers openings that align to you. Olyvr helps you make the best use of your time and increases your likelihood of getting hired. So whether you are embarking on a new career or simply exploring your options, Olyvr is your job board for the 21st Century. Join the evolution today! WELCOME TO THE OLYVR.COM WEB SITE ("SITE"). YOUR USE OF AND ACCESS TO THE SITE ARE GOVERNED BY THESE TERMS AND CONDITIONS, WHICH FORM A BINDING LEGAL AGREEMENT BETWEEN YOU AND OLYVR.COM, INC. ("OLYVR.COM"). IF YOU DO NOT AGREE TO THESE TERMS AND CONDITIONS, YOUR PERMISSION TO ACCESS OR USE THE SITE IS AUTOMATICALLY AND IMMEDIATELY REVOKED. EACH TIME YOU USE THIS SITE, THE MOST RECENT VERSION OF THESE TERMS AND CONDITIONS WILL GOVERN YOUR USE. ACCORDINGLY, WHEN YOU USE THE SITE YOU SHOULD CHECK THE DATE OF THIS AGREEMENT AND REVIEW ANY CHANGES SINCE THE LAST VERSION. The Site, including all text, images, graphics, media, content, data, and information contained thereon ("Content"), is protected by international copyright, trademark, and other applicable laws. Except as expressly set forth herein, all rights in the Content and the Site are reserved to Olyvr.com and its licensors. Any use of the Content not expressly permitted by these Terms and Conditions is a breach of these Terms and Conditions and may violate copyright, trademark, and other laws. Content is subject to change without notice in the sole discretion of Olyvr.com. Olyvr.com authorizes you to view and make a reasonable, limited number of copies of particular Content for uses permitted under these Terms and Conditions of Use if you include the following copyright notice, in addition to any other copyright and proprietary rights notices originally contained in the Content: "2016 Olyvr.com, Inc. ® All rights reserved." Because user authentication on the Internet is difficult, Olyvr.com cannot and does not confirm that each user is who they claim to be. Accordingly, users of this Site are encouraged to use caution and common sense. Olyvr.com is not involved in actual transactions between recruiters, employers, candidates, and/or other third parties. Olyvr.com therefore has no control over the quality, safety, legality, the truth or accuracy of the Site's content. In addition, note that there are risks, including but not limited to the risk of physical harm, of dealing with strangers, foreign nationals, underage persons or people acting under false pretenses. You assume all risks associated with dealing with other users with whom you come in contact through the Site. Olyvr.com is not to be considered an employer with respect to your use of the Site, and Olyvr.com shall not be responsible for any employment decisions, for whatever reason, made by any entity using the Site. The use of the Site and the Content is at your own risk. When using the Site, information will be transmitted over a medium that is beyond the control and jurisdiction of Olyvr.com. Accordingly, Olyvr.com assumes no liability for or relating to the delay, failure, interruption, or corruption of any data or other information transmitted in connection with use of the Site. THE SITE AND THE CONTENT ARE PROVIDED "AS IS." TO THE FULLEST EXTENT PERMISSIBLE UNDER APPLICABLE LAW, OLYVR.COM EXPRESSLY DISCLAIMS ALL WARRANTIES, EXPRESS OR IMPLIED, INCLUDING BUT NOT LIMITED TO WARRANTIES OF MERCHANTABILITY AND FITNESS FOR A PARTICULAR PURPOSE AND OF NON-INFRINGEMENT. OLYVR.COM DOES NOT REPRESENT OR WARRANT THAT THE FUNCTIONS CONTAINED ON THIS SITE WILL BE UNINTERRUPTED OR FREE FROM ERROR, THAT DEFECTS WILL BE CORRECTED, OR THAT THE SITE OR THE SERVER THAT MAKES THIS SITE AVAILABLE TO YOU ARE FREE FROM VIRUSES OR OTHER HARMFUL COMPONENTS. OLYVR.COM DOES NOT MAKE ANY WARRANTIES OR REPRESENTATIONS REGARDING THE CONTENT OR ITS ACCURACY, ADEQUACY, USEFULNESS, TIMELINESS, RELIABILITY, OR OTHERWISE. In no event shall Olyvr.com be liable for any damages (including, without limitation, incidental and consequential damages, personal injury/wrongful death, lost profits, or damages resulting from lost data or business interruption) resulting from the use of or inability to use the Site or the Content, whether based on warranty, contract, tort, or any other legal theory, and whether or not Olyvr.com is advised of the possibility of such damages. In the event that Olyvr.com is found to be liable to you for any form of damages, Olyvr.com's liability shall be limited to US one cent. You agree that Olyvr.com shall not be liable for any personal injury, including death, caused by your use or misuse of the Content or the Site. Some states may not allow the limitation or exclusion of incidental or consequential damages; so the above limitation or exclusion may not apply to you. Your remedies are exclusive and limited to those expressly provided for herein. Attempting to violate the security of the website by trying to decipher, decompile, disassemble, or reverse engineer any of the software on the Olyvr site. Olyvr.com reserves the right, in its sole discretion, to deny access to the Site for any violation of these Terms and Conditions. Olyvr.com does not endorse, takes no responsibility for, and expressly disclaims any warranties of any kind as to content on any third-party websites, including without limitation linked third-party sites, sites of third-party advertisers on the Site, and sites framed within the Site. Your use of third-party websites is at your own risk and subject to the terms and conditions of use for such sites. Olyvr.com does not endorse any product advertised on the Site. You agree to defend, indemnify, and hold harmless Olyvr.com, its officers, directors, employees, agents, licensors, and suppliers, harmless from and against any claims, actions or demands, liabilities and settlements including without limitation, reasonable legal and accounting fees, resulting from, or alleged to result from, your violation of these Terms and Conditions. Olyvr.com makes no claims that the Content is appropriate or may be downloaded in any particular jurisdiction. Access to the Content may not be legal by certain persons or in certain countries. If you access the Site, you do so at your own risk and are responsible for compliance with the laws of your jurisdiction. All provisions of this Agreement which by their nature are intended to survive the termination of this Agreement (including without limitation the provisions captioned Disclaimer and Limitation of Liability, Indemnity) shall survive such termination. These Terms and Conditions of Use constitute a binding agreement between you and Olyvr.com and govern your use of the Service. You also may be subject to additional terms and conditions if you have licensed software or purchased services from Olyvr.com. The Terms and Conditions of Use and the relationship between you and Olyvr.com shall be governed by the laws of the State of New York without regard to its conflict of law provisions. You and Olyvr.com agree to submit to the personal and exclusive jurisdiction of the courts located in New York, New York. The failure of Olyvr.com to exercise or enforce any right or provision of the Terms and Conditions of Use shall not constitute a waiver of such right or provision. If any provision of the Terms and Conditions of Use is found by a court of competent jurisdiction to be invalid, the parties nevertheless agree that the court should endeavor to give effect to the parties' intentions as reflected in the provision, and the other provisions of the Terms and Conditions of Use remain in full force and effect. You agree that regardless of any statute or law to the contrary, any claim or cause of action arising out of or related to use of the Service or the Terms and Conditions of Use must be filed within one (1) year after such claim or cause of action arose or be forever barred. The section titles in the Terms and Conditions of Use are for convenience only and have no legal or contractual effect. Thank you for using Olyvr.com. Olyvr.com takes seriously the issue of privacy. If you have any questions about this Policy, wish to amend, delete or add to any of your information contained at the Site, or otherwise wish to contact Olyvr.com directly, please email us at privacy@olyvr.com. IF YOU DO NOT AGREE TO THIS POLICY, IF YOU DO NOT RESIDE IN THE UNITED STATES, IF YOU ARE UNDER 18 YEARS OF AGE, OR IF YOU ARE NOT PERMITTED BY LAW TO ENTER INTO LEGAL OBLIGATIONS, YOU SHOULD NOT USE THE OLYVR.COM INTERNET WEBSITE (THE "SITE"). WE MAY MODIFY THE POLICY FROM TIME TO TIME AND POST THOSE MODIFICATIONS HERE. YOUR CONTINUED USE OF THE SITE AFTER ANY SUCH MODIFICATION CONSTITUTES YOUR ACCEPTANCE OF THE MODIFIED POLICY. A. General Information. Some information is gathered automatically when you access the Site ("General Information"). This General Information (which includes Site pages visited, type of web browser used, type of operating system, and the domain name of your Internet Service Provider, IP address and similar information) does not identify you personally. Olyvr does not disclose to third parties your Information, except as set forth in the following four subparagraphs. (i) We may disclose information to third parties if you consent to such disclosure. For example, if you indicate that you would like to receive information about the products or services of third parties, we may supply your contact information to third parties such as employers, recruiters, data aggregators, marketers or others for the purpose of sending you e-mail or otherwise communicating with you. We may use data we have about you (such as the experience you have or the interests and preferences you have expressed) to determine whether you might be interested in the products or services of a particular third-party. (ii) We may disclose information to companies and individuals we employ to perform functions on our behalf. Examples may include hosting our Web servers, analyzing data, providing marketing assistance, processing credit card payments, and providing customer service. These companies and individuals will have access to your personal information as necessary to perform their functions, but they may not share that information with any other third party. (iii) We may disclose information if legally required to do so, if requested to do so by a governmental entity or if we believe in good faith that such action is necessary to: (a) conform to legal requirements or comply with legal process; (b) protect the rights or property of Olyvr or its affiliated companies; (c) prevent a crime or protect national security; or (d) protect the personal safety of users or the public. (iv) We use Profile Information for purposes of administering Olyvr business activities, providing customer service and making available other products and services to you and other Olyvr customers and prospective customers. Olyvr may also use Profile Information to notify you about important changes to the Site or our business, new Olyvr services and special offers you may find valuable. B. Cookie Information. Olyvr uses and discloses Cookie Information to improve our Site and better serve you and our other customers, and may do so without notice to, or permission from, you or any third party. 3. Security and Access. You understand and agree that "perfect" security does not exist anywhere, including the Internet. Personal information you send to us at the Site or any information we send to you, including any email messages, will not be encrypted unless we advise you otherwise. 4. Merchant Services. You may be able to access certain information related to third parties at the Site, or via links or "click-throughs", regarding the goods or services of third parties (collectively, "Merchant Services"). You understand and agree that your access to or use of Merchant Services is a matter entirely between you and the associated third parties, and Olyvr shall have no liability whatsoever for any such access or use. 5. Location of Data. Your data will be stored and processed in whole or in part in the United States. If you access a Olyvr Web site outside the United States, your usage of that site constitutes consent to the transfer of your data out of your country and to the United States. 6. Links to Other Sites. The Site may contain links to other Web sites over which we have no control. Olyvr is not responsible for the privacy policies or practices of other Web sites to which you choose to link from a Olyvr Web site. 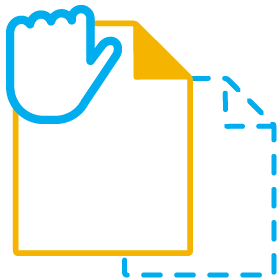 We encourage you to review the privacy policies of those other Web sites so you can understand how they collect, use and share your information. This Privacy Statement applies solely to the information we collect on a Olyvr Web site, and does not apply to information we collect in any other fashion. 7. Children. Olyvr is not intended for children under 13 years of age. 8. Data Maintenance. Nothing will restrict Olyvr from maintaining your data following your termination of your relationship with Olyvr, however this data will not be shared beyond what was shared during which time your account was active, but all saved data may be kept within Olyvr, and, if kept, may be available to you should you wish to reactivate your Olyvr account. Going forward, please visit www.olyvr.com to find Jobs Meant for You.